Some of the earliest plants to bloom are located in or near the Shakespeare Garden. As the snow melts, look for these five. This late-winter bloomer is one of the first flowers of the year. Notice the distinct collar of green bracts beneath the yellow petals. In addition to the Shakespeare Garden, it can also be found in the Rock Garden and the Perennial Border. 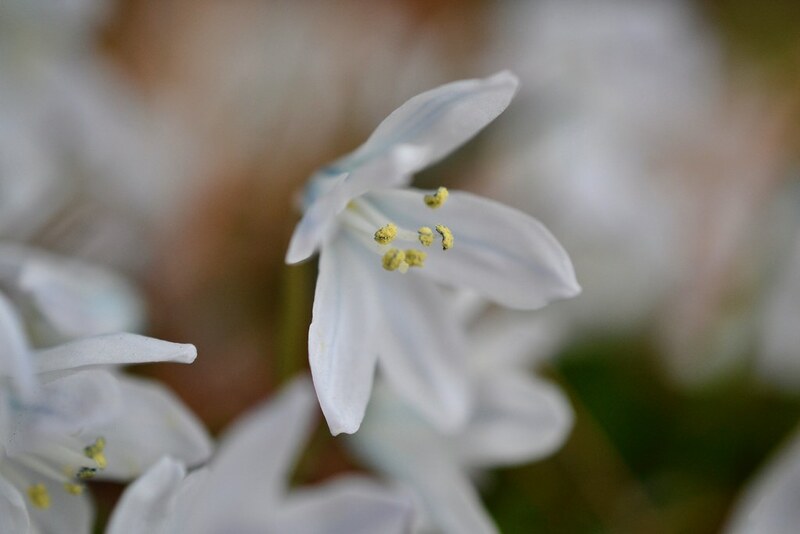 One of the shorter plants in the Scilla genus, this Iranian native has relatively large, fragrant flowers. There are also large swaths of this plant along Belle's Brook. 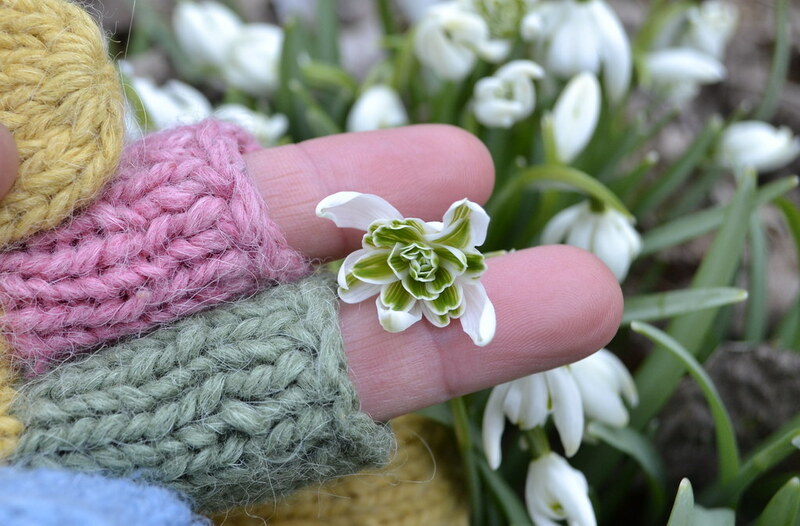 Snowdrops are particularly beloved in the UK, where enthusiasts are called “galanthophiles.” There are only 20 species but over 1,500 cultivars. Common snowdrops can be found all over the Shakespeare Garden, as well as the double-flowered Galanthus nivalis ‘Flore Pleno’ cultivar. 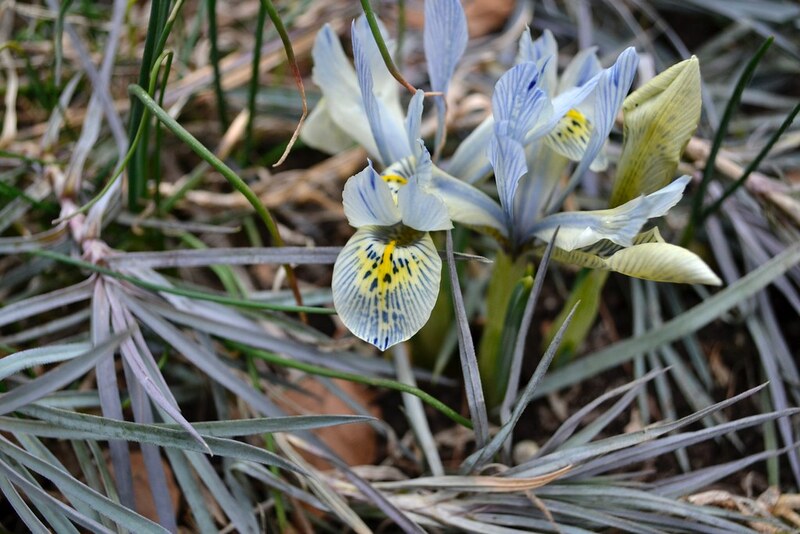 Reticulated irises appear in late winter and early spring. This fragrant hybrid was introduced in 1958 by E.B. Anderson and named after the wife of fellow U.K. breeder Eliot Hodgkin. This low-growing evergreen shrub has small, white flowers that produce a strong, sweet fragrance in late winter. Black berries form later in the season. Romi Ige is Brooklyn Botanic Garden's manager of Interpretation. I love your blog! Very informative—it serves as a lovely invitation and helpful guide motivating me to get over to see the blooms I might otherwise miss. 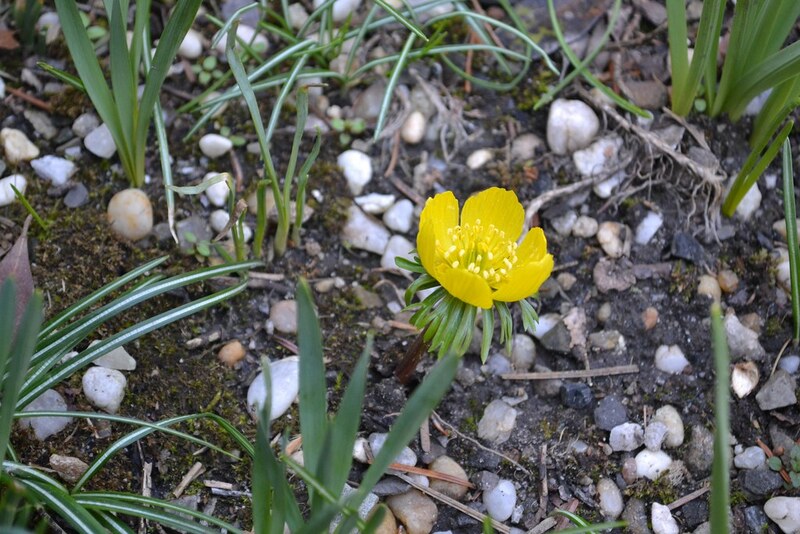 Eranthis hyemalis (winter aconite) in the Rock Garden. Photo by Blanca Begert. Scilla mischtschenkoana (misczenko squill) along Celebrity Path. Photo by Blanca Begert. Galanthus nivalis ‘Flore Pleno’ (double common snow drop). Photo by Blanca Begert. Iris 'Katharine Hodgkin' in the Shakespeare Garden. Photo by Blanca Begert. 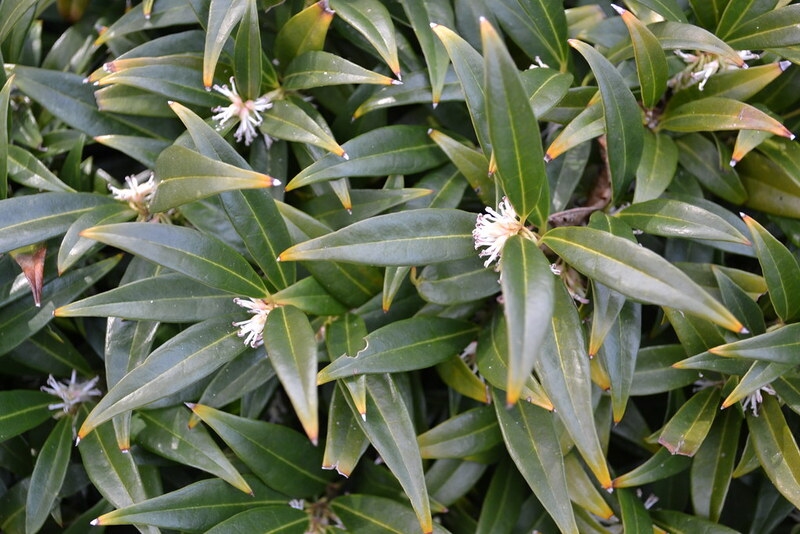 Sarcococca hookeriana (sweet box) by the Japanese Hill-and-Pond Garden. Photo by Elizabeth Peters. 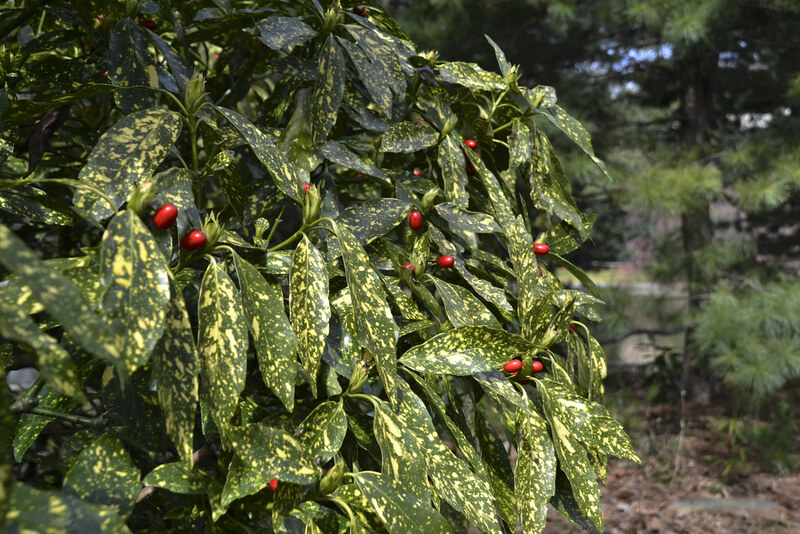 Aucuba japonica 'Picturata'. Photo by Blanca Begert.